Hello, Gorgeous! : back to the grind. But, now it's back to the work grind. So, I want to share my latest outfits with you and let you know that I have another incredible giveaway coming up from the ever fabulous Erika Lehman, my Stella & Dot guru! Are y'all ready for this?! 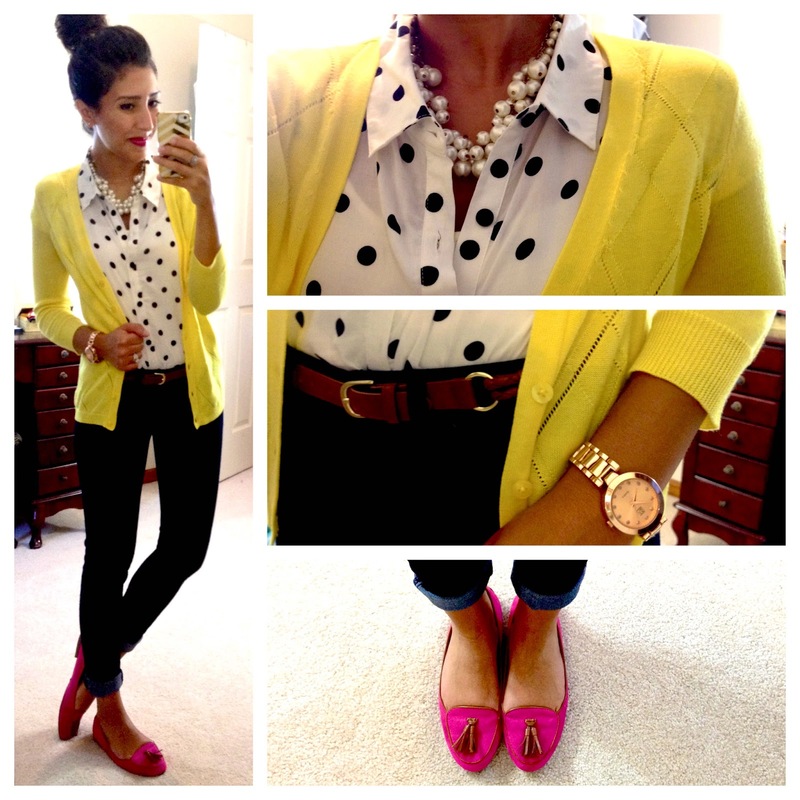 Love that polka dot top! That pink dress is gorgeous! 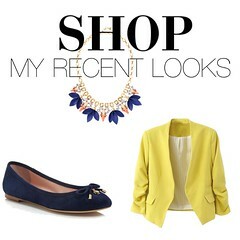 Favorite is the yellow cardi & pink flats! I want that skirt from H&M! Love that F21 polka dot top. Your style is great! I follow your blog every week for outfit ideas. you are a huge inspiration to me, as a working girl :) your outfits are perfect! I really like the colors you paired together in the first outfit. I don't think I would have even thought of them - love it! I adore all of the H&M finds. It is obvious that I need to peruse the store much more carefully. Love!